My name is Orlando Barcia, originally from the Philippines, I came to Spain with my family in 2006. I am now a Spanish citizen and enjoying playing and giving my Marbella tennis lessons. I am passionate about my tennis and first became a tennis coach when I was sixteen years old. I have achieved certification as a registered professional tennis coach through both the RTP and USPTA. I have worked in a number of clubs, both here and abroad. In the Marbella area I have worked at the Atalaya Park Hotel Tennis club and the Bel Air Tennis club in Estepona, and the Manolo Santana Racquets Club in Marbella town. 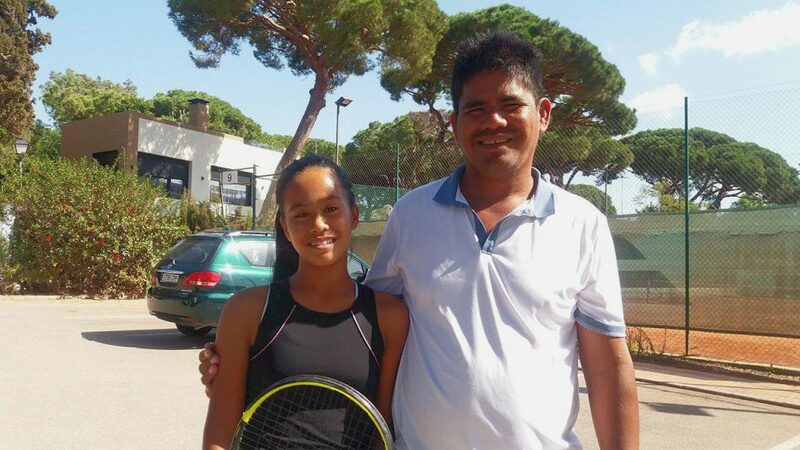 When I am not giving tennis lessons as a freelance coach, I am coaching my daughter Jeannieross Barcia who is an up and coming young tennis player.